It’s nearly that time of the year. The winter blues are about to come to an end and Jeep is gearing up for a spring and summer of outdoor off-road adventures with its annual Easter Jeep Safari. Taking place in Moab, Utah from April 13 through 21, it’s a weekend consisting of rock crawling and backcountry exploring that’s also one big Jeep festival. The Easter Weekend safari lasts for nine days, through Easter Sunday. And like every year, Jeep and Mopar have teamed up to build several new concept vehicles that’ll be on display. 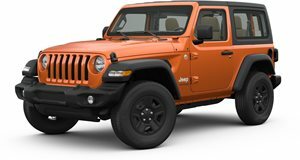 A couple of teaser images have been released today showing what’s clearly a Wrangler and Gladiator. The blue Jeep, at first glance, could pass as either a Wrangler or Gladiator, but a closer examination of the "J6” badge beneath the Jeep label is telling. The original Jeep J6 launched in 1956 and was a stretched two-door CJ that didn’t catch on in the US. In fact, most of them were shipped to Sweden, of all places, and South America. Production ended in 1975 when the CJ-7 arrived. The second teaser image is definitely a modified Gladiator. Its truck bed and four doors are clearly shown. 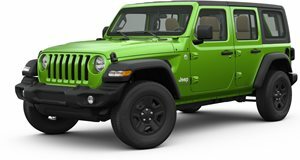 Both concepts look like they’ll feature off-road tires and numerous other accessories from the Mopar parts catalog for enhanced rough terrain performance. Jeep says it’ll reveal more images and details as the Easter Jeep Safari weekend gets closer, but expect there to be more concepts than the two teased here. For years Jeep has invested considerable time and money in these concepts. One of our favorite examples was the Hellcat-powered Wrangler, which was demonstrated at the 2016 show. 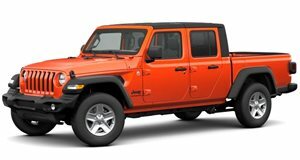 We wouldn’t be surprised to see Jeep stuff one of those supercharged V8s under the hood of the new Gladiator as well. Why? Just for the hell of it.